Handpicked Local Favorites to Keep You Exploring and Fulfilled. 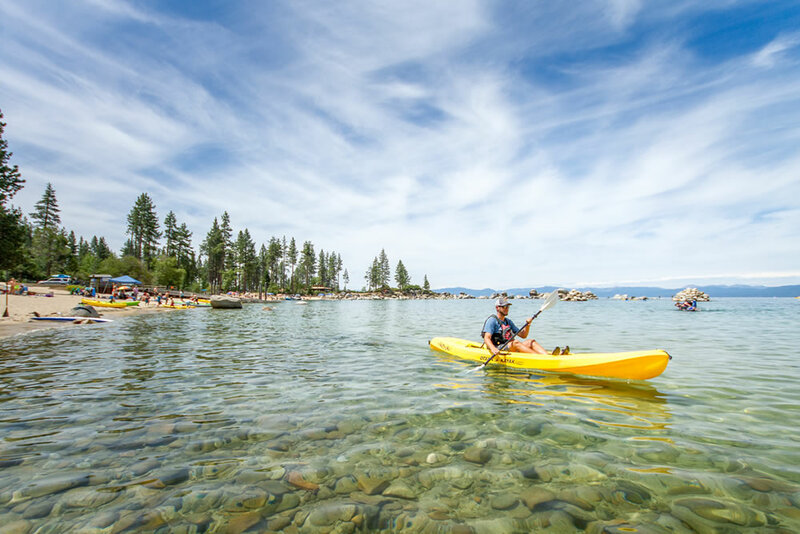 RENO-TAHOE TERRITORY, Nevada — Together we’re stronger and in this part of the world, travelers are invited to join the locals for some unexpected summertime adventure. Encapsulated by blue water and stunning landscapes, this area is all about grabbing one-of-a-kind outdoor adventure that is all within easy reach. Starting with the capital city of Nevada and moving through its neighboring towns, don’t miss out on these insider recommendations and to help savor the journey, we’ve also added local favorite dining picks, even when it takes us off the beaten path. The Kings Canyon Waterfall is a short 5-minute drive west of downtown on King Street, formerly, the Old Lincoln Highway. Witness this beautiful 25-foot cascading waterfall and then you can walk further along the creek to discover more cascades. It’s worthwhile to extend the hike by just under 2-miles by taking the loop trail for more outdoor exploring. Details HERE. A variety of entertainment and events take place downtown at McFadden Plaza with its open markets, concerts and much more. The Plaza is named after local Bob McFadden to honor his community service and dedication to the revitalization of downtown Carson City. Details HERE. Immerse yourself in Native American culture with a self-guided tour along the ‘Talking Trail’ of the Stewart Indian School. From 1890 to 1980, it was America’s only off-reservation Indian boarding school and is now a National Register of Historic Places. 200 tribes from the western USA sent Indian youth to learn the new culture. Touch the iconic stone buildings and hear the personal stories. 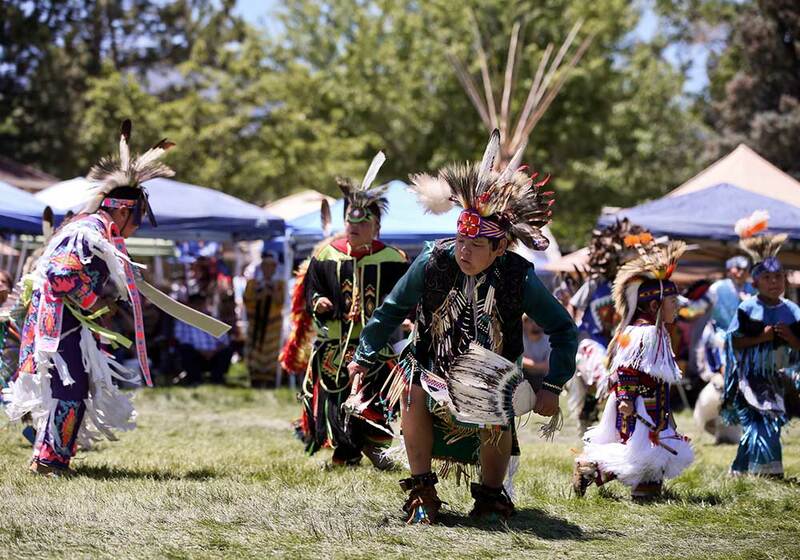 The Father’s Day Pow Wow event in June helps to preserve this cultural heritage site. Details HERE. Part of the local food movement, The Union is enjoyable for summertime open air dining while the chef chooses local ingredients, the freshest meats and produce daily to create a meal unlike any other. Details HERE. For those looking to explore and get off the grid, hiking galore! 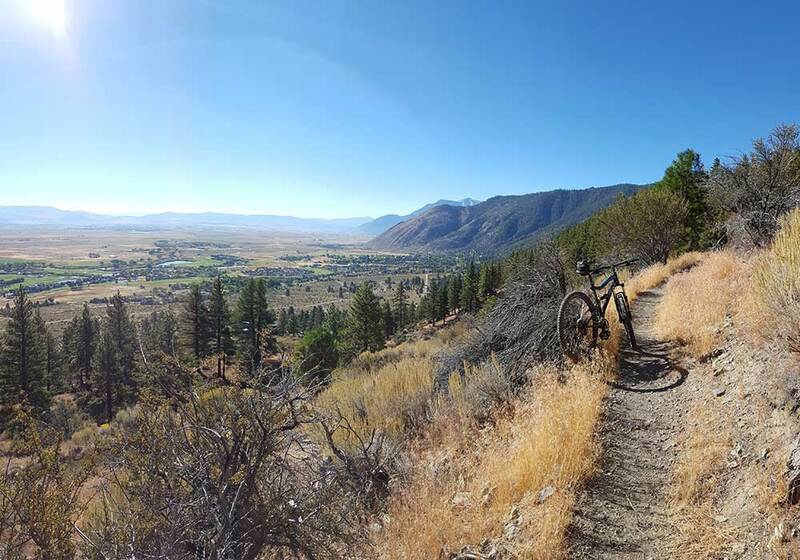 With 50+ miles of recreational hiking trails, the volunteers of non-profit Carson Valley Trails Association provide access to public lands through a user-friendly connected trail system giving adventurists the space and freedom to engage in nature. Details HERE. Feel the heritage of the land with a visit to Jacobs Family Berry Farm located on the historic Lampe Homestead less than 30 minutes from Lake Tahoe and Carson City. Farmers are busy growing luscious blackberries and raspberries to taste onsite as well as in local restaurants. A scenic backdrop with spacious lawns and flower beds round out this country gem. Details HERE. Join the locals at Concerts in the Park presented throughout the Valley. Bring a blanket, relax and take it all in while the sun dips behind the Sierras. The stunning backdrop combines with a talented line-up of outdoor entertainment to make this outing an unforgettable experience. Details HERE. With roots stretching back well over a half-century, be part of the tradition at this Nevada icon, the JT Basque Bar & Dining Room in Gardnerville. For decades voted Best Basque Restaurant in the Carson Valley, this locals’ favorite is festive serving a multi-course family-style meal plentiful and pleasing to the palate. Details HERE. 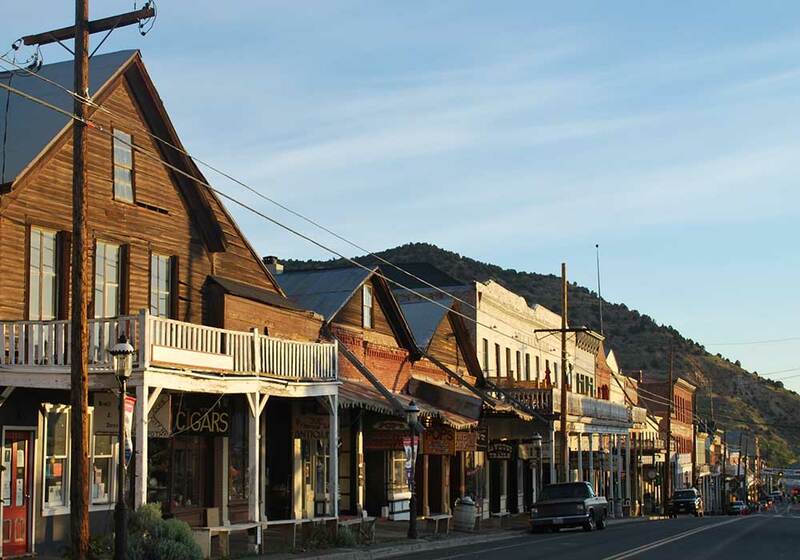 Experience America’s Independence Day at one of the USA’s most nostalgic and authentic old west towns. Embrace the deep cultural heritage as you’ll receive a historic welcome with the streets all lined in red, white and blue. The parade is a celebration revelers will share as they feel the boom of the fireworks in their bones. Details HERE. The Way It Was Rodeo is unlike anything ever seen on the Comstock before. Saddle up and ride into Virginia City’s Arena & Fairgrounds to see the best rodeo promoter in the country, Cotton Rosser and the Flying U Rodeo. This August weekend is full of rough and tough family fun. Details HERE. 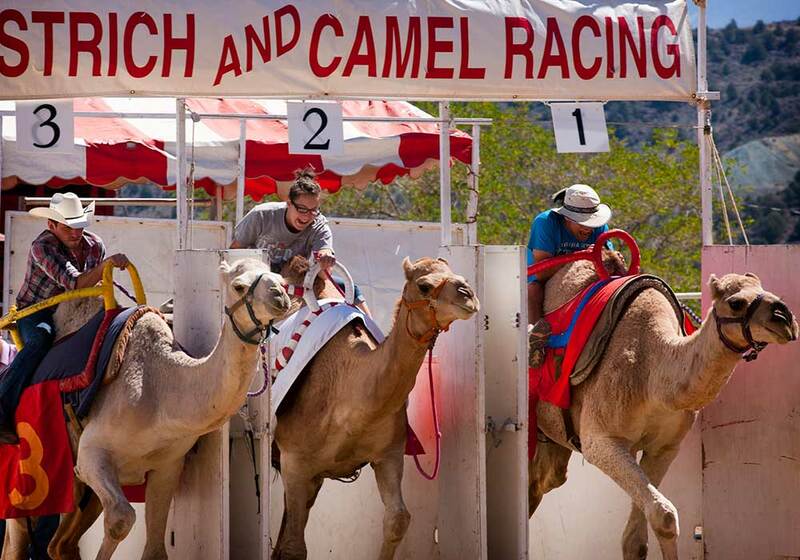 For more than a half century, every September there’s a crazy unusual event called the International Camel & Ostrich Races making a spectacle racing around the Virginia City Arena & Fairgrounds. As the animal jockeys are precariously perched atop the camels, ostriches and even zebras, it’s a sight not found anywhere else. This hilarious event is a true staple in Northern Nevada. Details HERE. 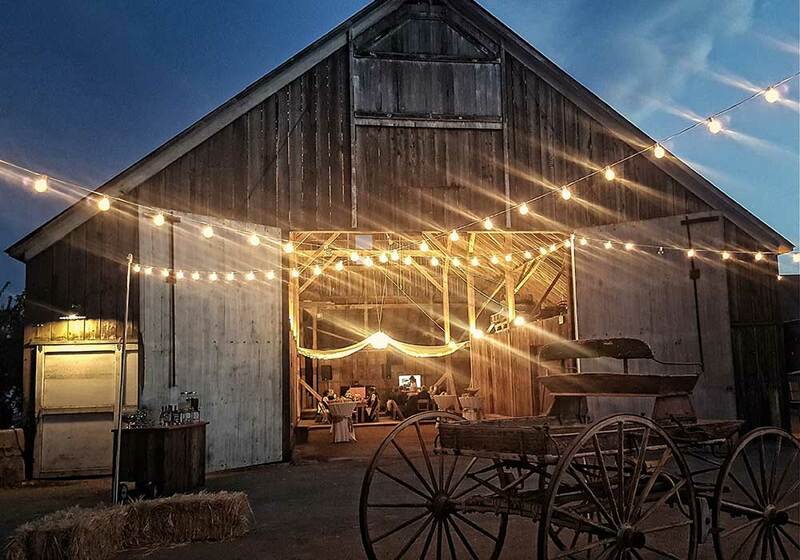 A well-known and sought-after venue is the Cider House-Factory with its cozy atmosphere and quaint garden. The antique brick interior dining offers a memorable menu with a variety of homemade courses and desserts. Details HERE. Bar Hop to the buzzing local hot spots and get to know the ins and outs of this town by jumping on a party bike for an open air tour or join a themed crawl. The Booze Bus gets around to the area’s most unique craft establishments from breweries to distilleries. 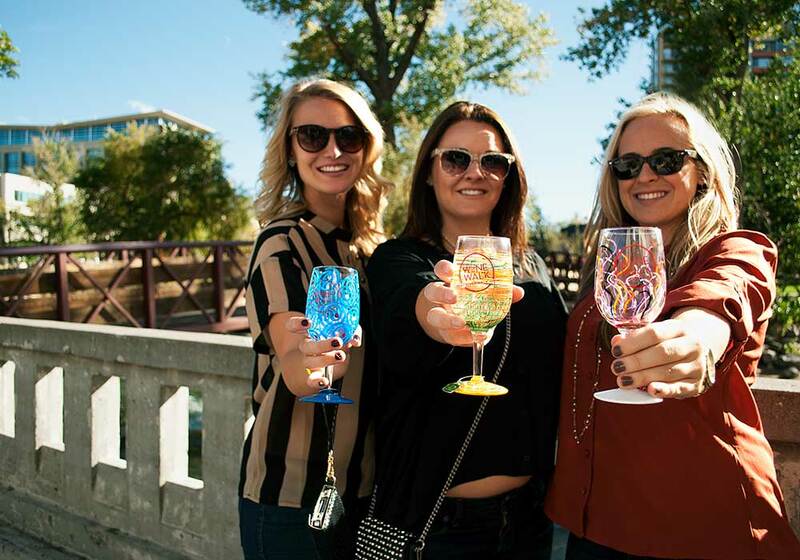 Insiders avidly enjoy the wine walk at the popular Riverwalk district. Details HERE. Golf amongst a never-ending variety of course choices using this handy go-to guide to select the challenge you desire. 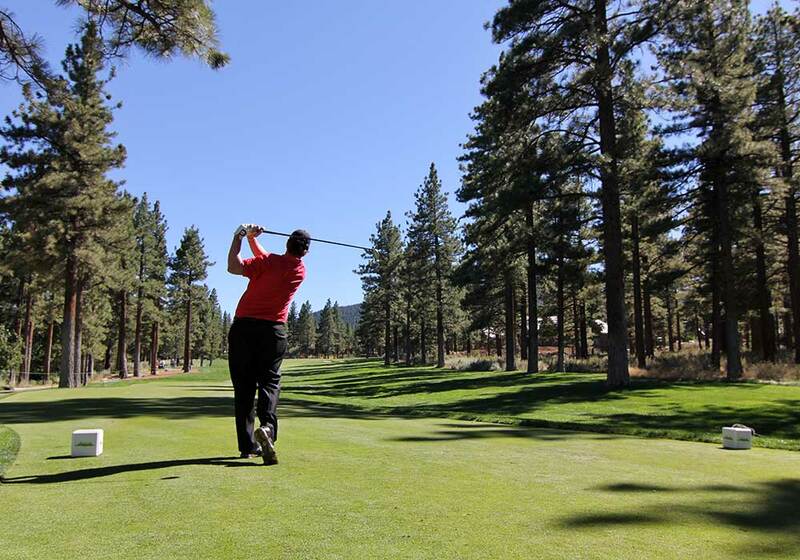 Local golf pros are always happy to answer any question in this part of Nevada. Details HERE. The summer event scene is about as endless as the warm summer nights and each month there’s another local favorite. In July, it’s all about Reno is ArtTown and later in August, the delicious local’s favorite Rib Cook Off greets travelers with amazing flavors of the land. And then there’s Hot August Nights, a can’t-miss experience. Details HERE. For the best patio dining, choose from one of these unique popular spots sure to round out your day. Each is deliciously different depending on your taste for adventure in dining. 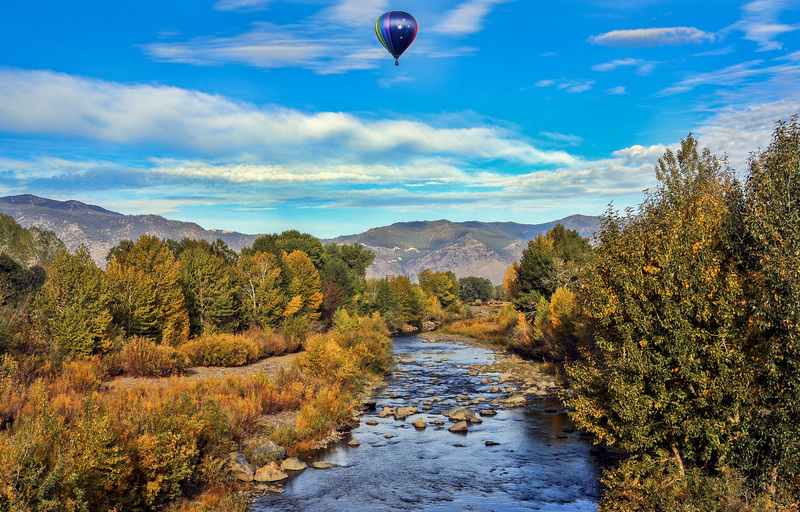 From the Wild River Grille, a modern venue in Reno’s historic Riverside Hotel to the Depot Craft Brewery, the old headquarters of the Nevada-California-Oregon Railway in Sparks, this area of Nevada has the palate pleasing dining. Details HERE. Discover two gems that are important pieces of Nevada history and they are hidden along Lake Tahoe’s east shore. The secluded Thunderbird Lodge is known as the “Castle in the Sky” and it’s home to the legendary Thunderbird Yacht. Daily tours are available and there’s a special evening Wine and Cheese Tour or in the morning, take the Garden Mimosa Tour. Details HERE. Stay out in nature and see the Bard at its best, outdoors and lakeside at the Lake Tahoe Shakespeare Festival. Located at scenic Sand Harbor State Park, travelers join up with locals to enjoy superb entertainment, food and friends. Converge under the stars as this Festival showcases live entertainment with the bluest alpine lake backdrop. Details HERE. Use the easy and fun interactive map to select your water or mountain trail and then head out to experience first-hand, the North Lake Tahoe Ale Trail. This part of the world offers diverse trails while rewarding you at day end with a popular set of bars and watering holes. Whether on foot, paddle, road or trail, share a story-telling vacation picture and receive a Tahoe Ale Trail sticker. Details HERE. Don’t miss this local’s favorite experience every Wednesday night for Sushi at the popular craft brewery and public house, Alibi Ale Works. Made with pure Lake Tahoe water, this place produces a wide range of frequently rotating beers with diverse and interesting flavors. Details HERE. Heavenly’s Epic Discovery is a place that not only thrills the kids but it also brings out the kid in the adults. 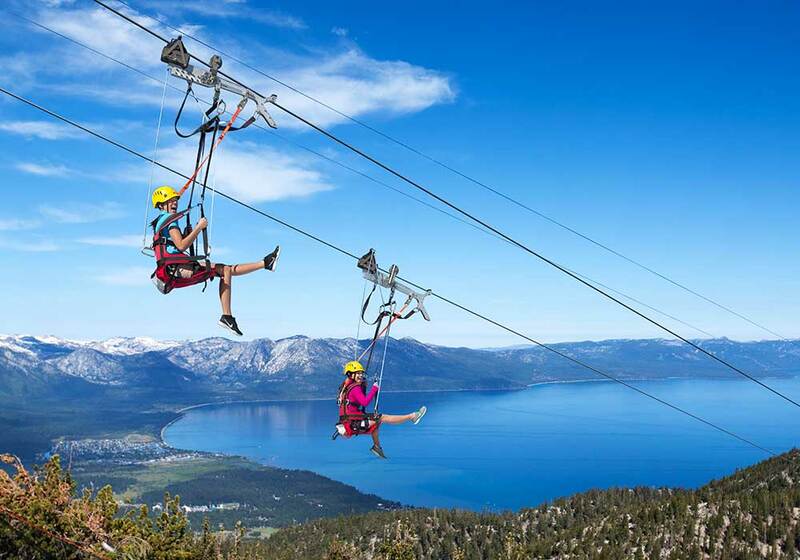 Start off by taking a ride above the land on the scenic Heavenly Gondola with undeniably, the most amazing views of Lake Tahoe. 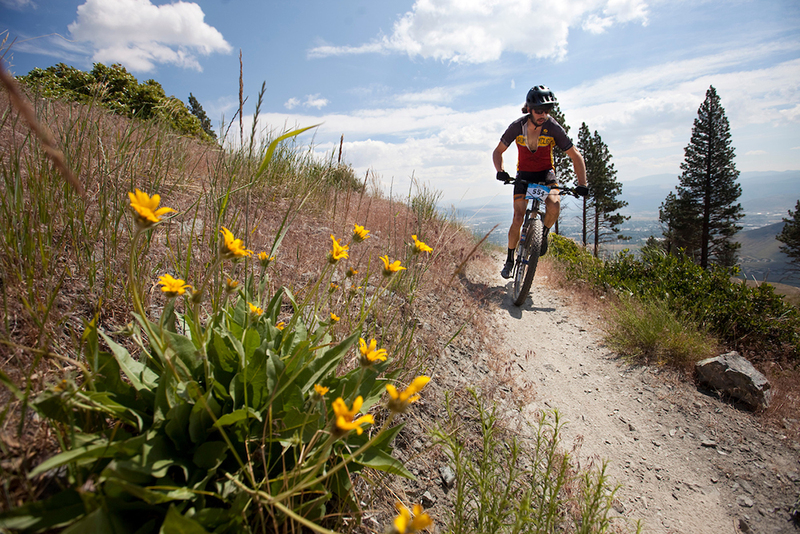 Take your pick from a wide array of summer activities, including ropes courses, zip lines, mountain coaster, or a family hike at 9,000 feet (2750 m). Details HERE. 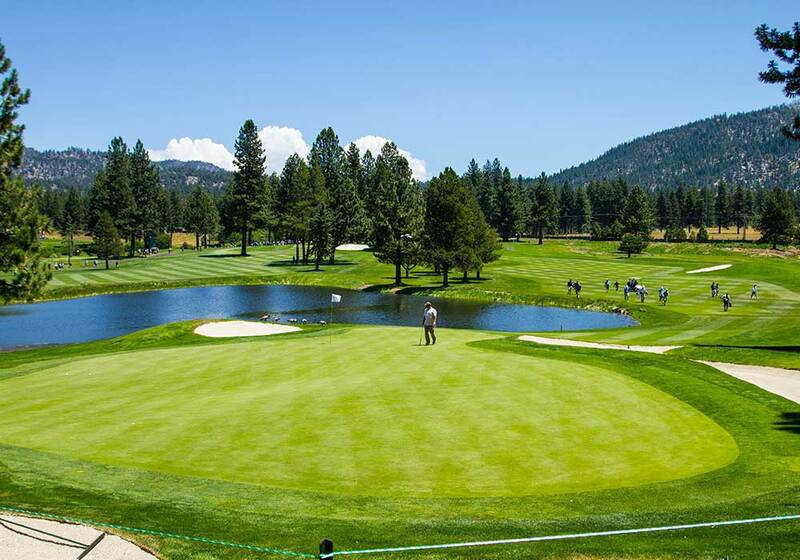 As the only golf course nestled along Lake Tahoe’s scenic shoreline, there’s no better place to play than at Edgewood Tahoe’s revered 18-hole championship course. Instead of watching the celebrities play here on TV, make this one of your own story-telling vacation experiences. Details HERE. 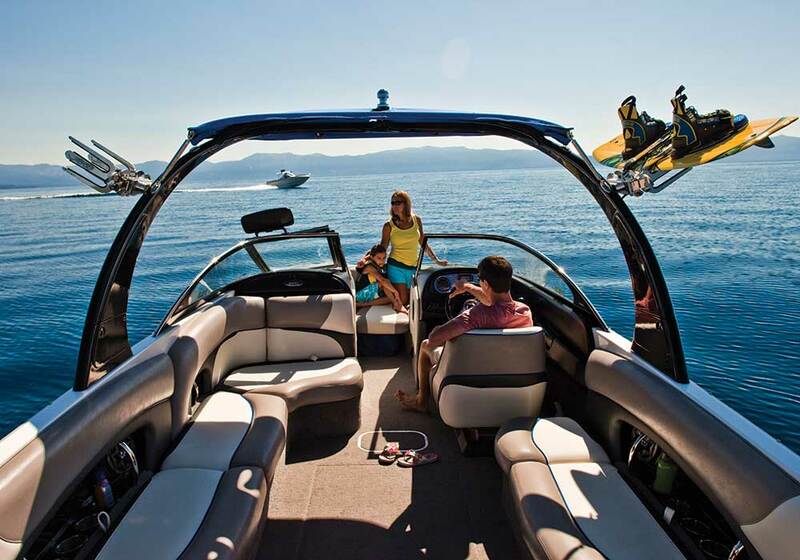 For world-class entertainment, the Lake Tahoe Outdoor Arena at Harveys is a must. A highly popular location for summer concerts, it features an open venue and superb sound system attracting acclaimed artists such as The Eagles, Elton John, Bob Dylan, Bruno Mars, Lady Gaga, and many more. Details HERE. Edgewood Restaurant is one of the ‘100 Most Scenic Restaurants in America’ by Open Table diners read more. This hidden gem shares its stunning floor-to-ceiling windows and elegant lodge aesthetics while diners enjoy striking views. The fresh cuisine is prepared daily and matched with a carefully selected diverse wine list. Details HERE.